I had my KVM set to the wrong computer so I accidentally fortified my warrior on the first turn. I didn’t realize this when the second turn started (getting used to playing hot seat) so he sat around for a turn. I started moving him around and discovered that I seem to be in a resource-rich area. This is good for me in the early game as the marble will allow me to build some buildings more quickly and the gold (bottom left of the screenshot) will allow me to build more buildings before I go into debt. The dyes will be good in the mid-early game by helping my citizens be happier and giving me something to potentially trade with the AIs. I think I know where I want to put my next city, but it’s going to be quite some time before I can do that, unless my production picks up when my city grows. Speaking of that, my city will reach a size 2 population in one turn, woohoo! I assume Dave’s in a higher-growth area and that’s why he has a higher score than me – either that or he has a civilization with a high culture rate and has already expanded the culture zone around his city. I figured out that by making these posts once a week after every few turns I can keep from giving away too much strategy in a timely manner so I can share the fun while still maintaining an element of surprise for Dave. Win/Win! I’m Great Britian, so I don’t have a cultural bonus. 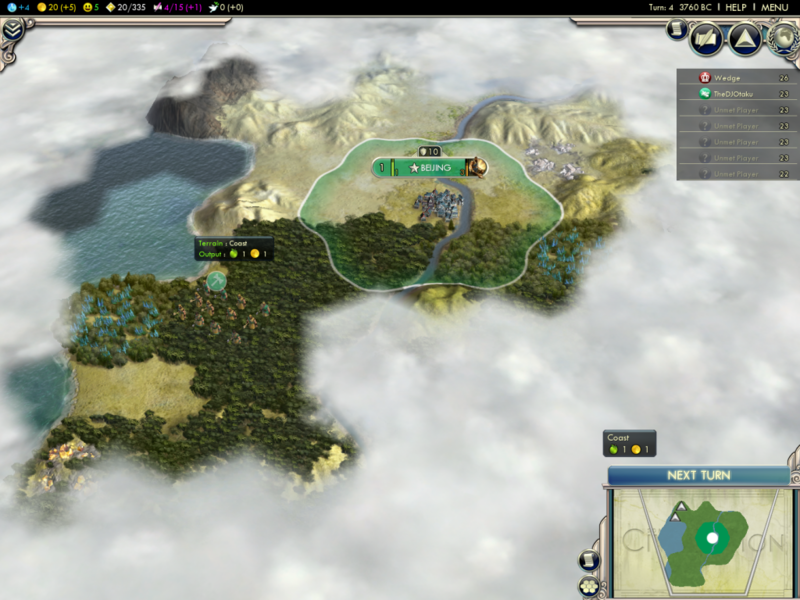 I did however find a ruin that gave me a population increase. I think that’s how I jumped ahead of you in score. That’ll definitely do it. I’m excited every time I get a turn – I can’t wait for the game to move into the slightly more modern time when there’s a lot more going on.